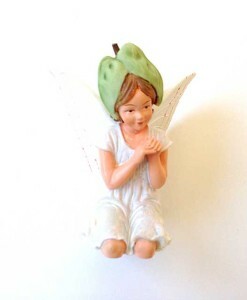 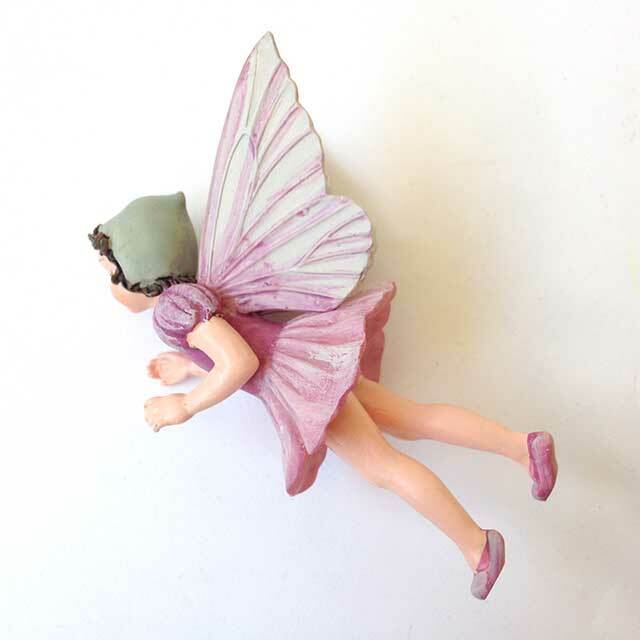 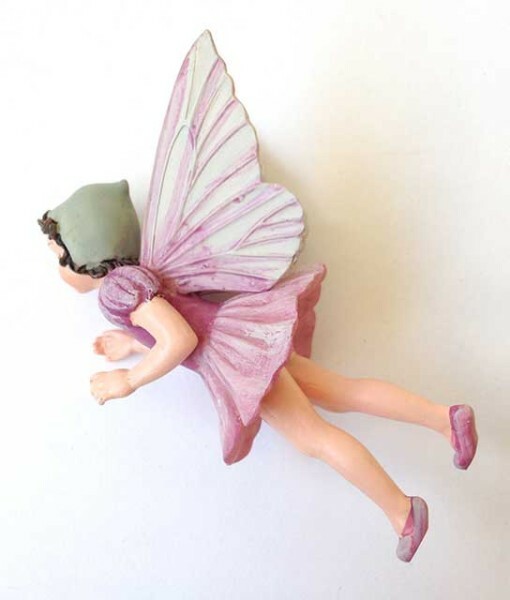 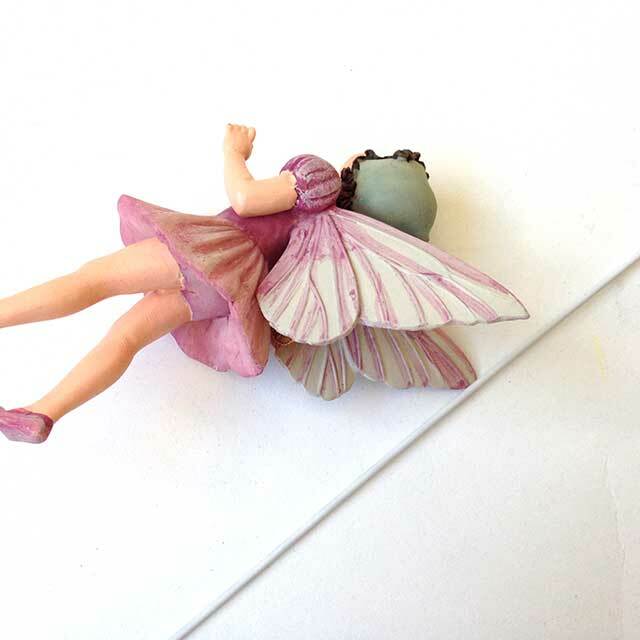 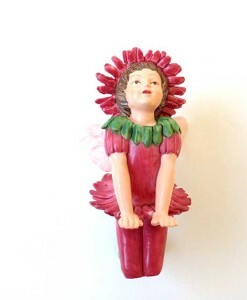 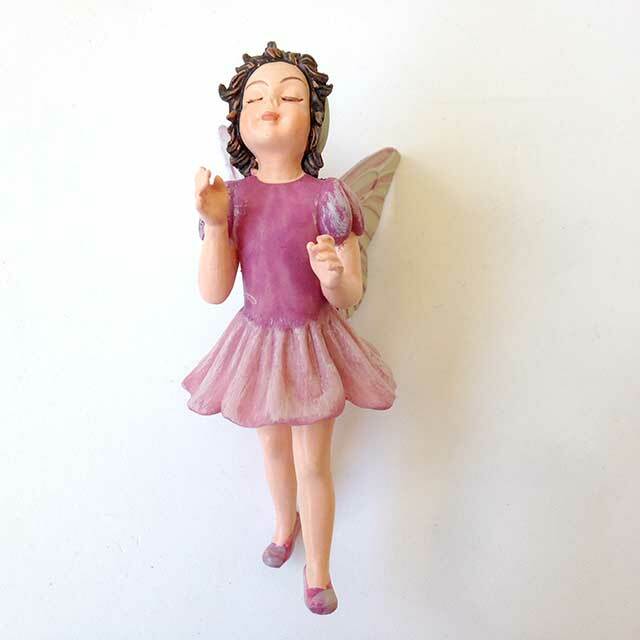 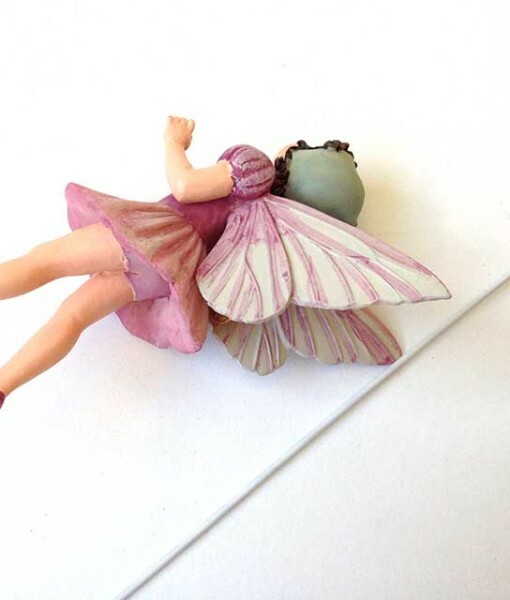 This tiny Lilac fairy figurine is poised for summer in the garden, along the stream, in woodland settings. 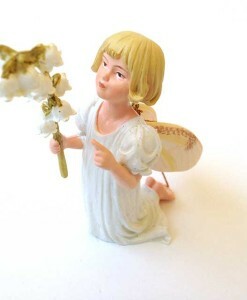 Inspired by Cicely Mary Barker’s art from the 1920s. 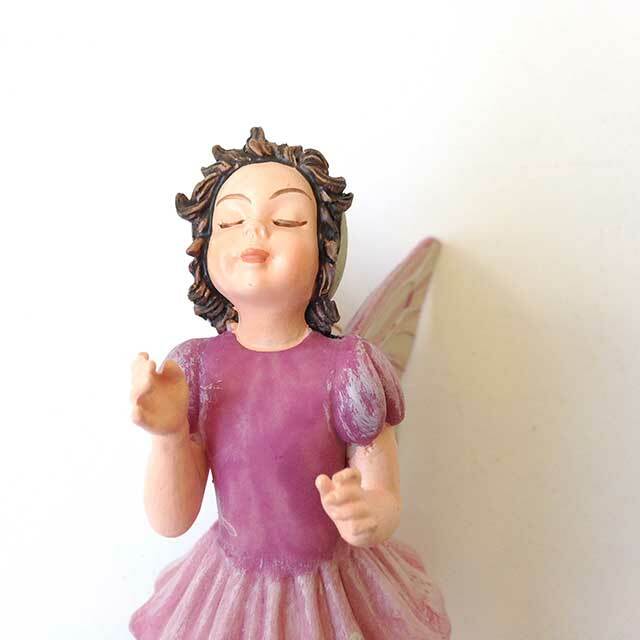 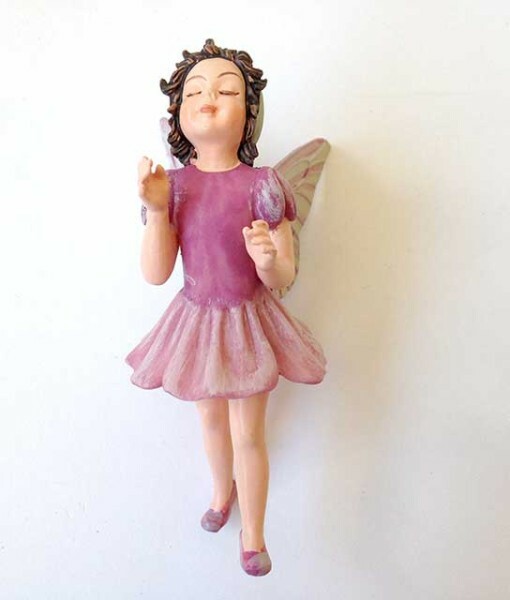 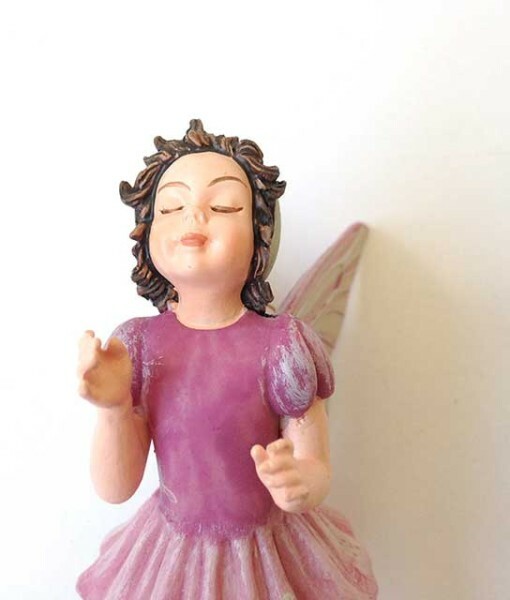 This lovely Lilac fairy figurine is poised for summer in the garden, along the stream, in woodland settings. 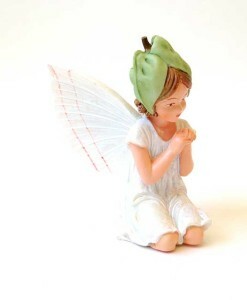 Inspired by Cicely Mary Barker’s art from the 1920s. 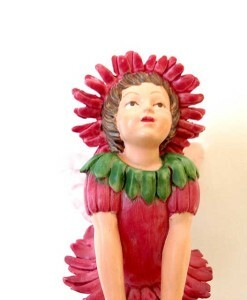 Her hands are ready to hold something, or nothing at all. 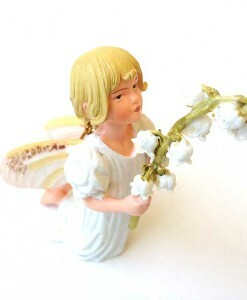 Perhaps she smelling the blossoms in the garden. 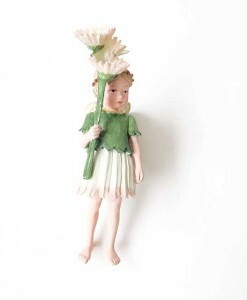 Dimensions: 3 11/16″ tall, 1 1/2″wide, 2 1/2″ deep.